Instructor, Jon Bonesteel, will begin with a discussion of the basics of circuit design and how to make circuits. 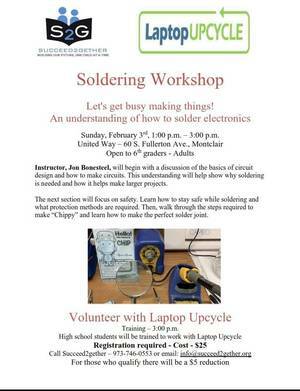 This understanding will help show why soldering is needed and how it helps make larger projects. The next section will focus on safety. Learn how to stay safe while soldering and what protection methods are required. Then, walk through the steps required to make “Chippy” and learn how to make the perfect solder joint.